Double Make-Up was produced using photos from portrait picture databases and animations that illustrate the work of face detection algorithms. The material serves as a backdrop for the video performance. 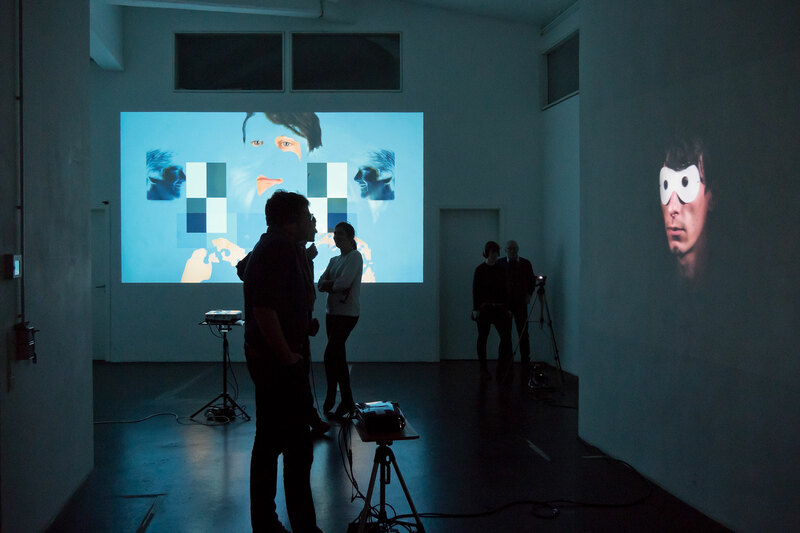 Inspired by Bruce Nauman’s video Art Make-Up, the artist applies camouflage patterns to his skin and eventually erases his own image from the screen.